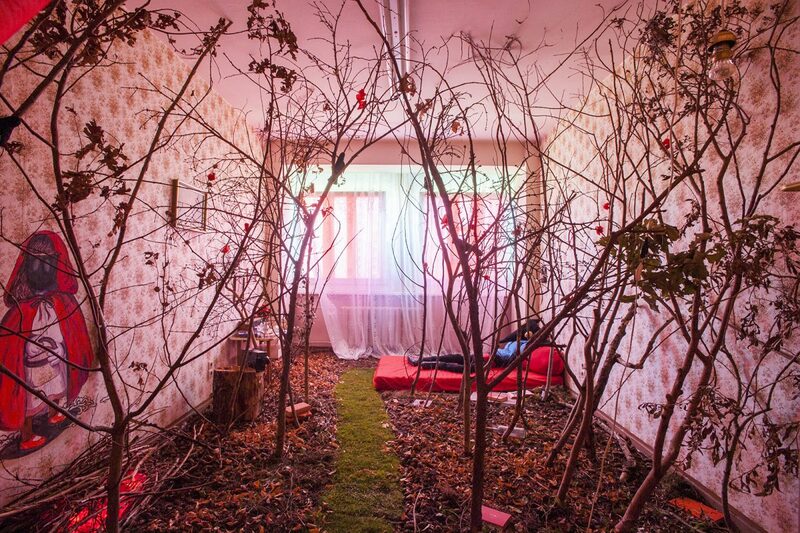 Grandma’s Den is a collaborative installation by art collective Radical Jetset and Berlin-based Chilean artist Carolina Cruz, better known as Lucilux, inspired by the fairytale Little Red Riding Hood. Lucilux uses her skills as an illustrator and designer to bring the haunting forest indoors and merge it with the equally eerie decor of an antiquated grandmother’s quaint abode. Despite working with a compact space, Lucilux manages to fill the floor with dead leaves lining a narrow dirt road. The nature-infused room is complemented by a floral patterned wallpaper, a few pieces of furniture, and a stuffed, cartoonish wolf in human clothing on a mattress on the floor, eagerly awaiting the arrival of his next meal. There’s something both playful and unsettling about the installation. 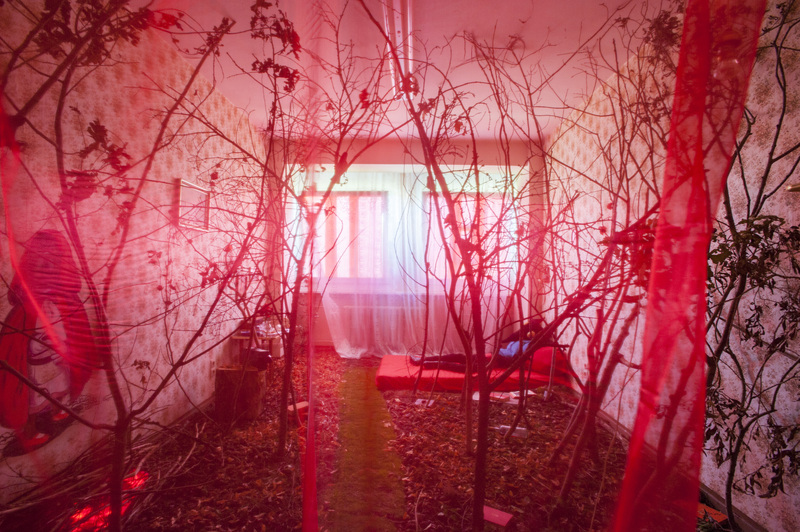 There’s even a fun yet menacing reddish-purple hue washing over the space as light seeps in through the windows filtered with a sheer magenta curtain.